Extremely large commercial vehicles often need to make extremely wide turns. Can they be done safely? Absolutely. 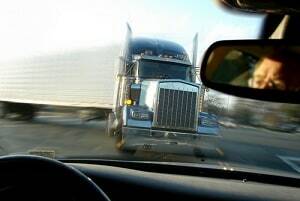 But trucks who are in a hurry, and have inexperienced or lazy drivers rarely take the safest route. When wide turns are undertaken by large trucks, some of these guys do not do what they must to overcome their partially obstructed view that does not give a good look at adjacent lanes and oncoming traffic. These turns often cause collisions that result in people getting hurt or killed. Some are directly in the line of fire. There are also secondary collisions caused by motorists trying to avoid these wide turns or pass a turning vehicle, who then collide with each other. 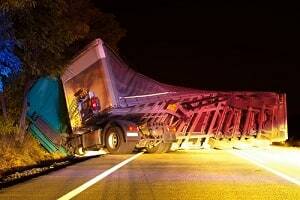 What Types of Accidents Are Caused by Wide-Turning Trucks? You can learn more about truck accident injury and death cases in Maryland and the details of who we pursue and maximize the value of these cases here. Big vehicles are especially dangerous, mainly because trucks are so large and can initiate impact in so many different ways. An 18-wheeler can weigh over 80,000 pounds and measure over 60 feet long. A vehicle that big is often difficult to control and requires an enormous turning radius that creates significant blind spots. These large turns increase the likelihood of accidents and collisions. Let's put this in a little context. While truck collisions only account for 1 in 8 traffic fatalities, out of the 500,000 truck accidents each year, 5,000 result in death. Those injured or killed are most often not the truck’s occupants but occupants of other motor vehicles, who account for up to 98 percent of trucking deaths. Don't turn wide to the left as you start the turn. A following driver may think you are turning left and try to pass you on the right. You may crash into the other vehicle as you complete your turn. If you must cross into the oncoming lane to make a turn, watch out for vehicles coming toward you. Give them room to go by or to stop. However, don't back up for them, because you might hit someone behind you. A truck makes a sudden wide left turn and obstructs oncoming traffic, causing a passing motorist to collide into the side of the truck. A truck making a sweeping wide turn fails to yield the right of way to another vehicle, initiating a collision. A truck driver misjudges the space available to make a wide turn and clips the rear bumper of the car in front of him. Andrew is the driver and operator of a huge 18-wheel commercial truck that is almost 70 feet long and weighs nearly 100,000 pounds! Andrew is hauling a load up I-270N when he exits onto the local service road. He usually stays on the main highway until he reaches his exit but the traffic on this day is so heavy that he takes a less traveled route. Coming up to the first intersection on the service road, he realizes he needs to make a right turn to reach his destination. The two-lane service road makes it difficult for Andrew to maneuver a right turn, but he decides to give it a go. He pulls out into the intersection and makes a wide sweeping right turn. As he turns, the front wheels of the tuck are in the lane of oncoming traffic and the back wheels are in his original lane of traffic. He has some difficulty with the turn and has to reverse the truck and try it again; all while the lane of oncoming traffic is fully obstructed. Traveling motorists sit at the intersection and impatiently honk their horns as Andrew tries again to complete the wide turn. Andrew, feeling pressured, puts the truck in reverse one more time to get some more room. Andrew, so focused on the difficult maneuver he is performing, fails to look behind him when reversing. He collides with and crushes a small Fiat that is sitting behind him, waiting for him to turn. Inside the Fiat sits Nadine who broke both of her legs. The challenge of the turn distracted Andrew from the road and caused him to be negligent or careless in reversing the truck. This negligence caused Nadine to be seriously injured. Maryland: $5,450,000 Settlement. Plaintiff’s mother and minor children were traveling southbound on Landover Road in Prince George's County. The defendant, operating a loaded farm truck in the opposite direction, attempted to make a left turn in front of the plaintiffs' vehicle. The plaintiff’s mother struck the side of the defendant's truck. The plaintiff’s son was partially ejected from the vehicle. The plaintiff’s daughter was ejected through the windshield. The plaintiffs alleged that: (1) the defendant was negligent in failing to yield the right-of-way, and (2) plaintiffs all suffered multiple serious injuries as a direct result of the accident. Defendant settled with plaintiffs. Washington: $1,500,000 Verdict. The defendant was driving a dump truck loaded with 100,000 pounds of dirt to a dump site. The dump was located on a road with five lanes of travel. The defendant allegedly prepared to make a wide right turn by pulling partially into a left lane. The plaintiff, driving behind the defendant, believed the defendant was either making a left turn or proceeding straight ahead so she attempted to pass on the right and crashed into the rear of the dump truck. The plaintiff alleged that the defendant driver was negligent in making a wide right turn and that she suffered a serious impairment of a bodily function and serious disfigurement as a direct result of the accident. 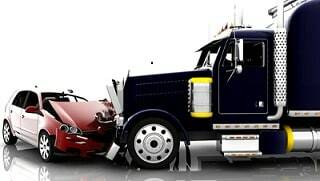 The team of attorneys and professionals at Miller & Zois has a proven track record of success when it comes to representing victims of serious truck accidents. We fight with everything in our power to get you as much - bluntly - as much money as we possibly can. That is what the justice system gives out: money. It is our job to go out and get that for our clients. If you or someone you care for has been injured in a crash caused by a wide-turning truck or other motor vehicle crash claim, call us immediately at 800-553-8082 or get a free case evaluation online.